Financial aid for minorities reaches a wide sampling of the U.S. college population. Your cultural heritage might be your ticket to scholarships and grants that are reserved for specific minority groups. You need not be a first generation immigrant to qualify for minority aid, just a bonafide member of a growing number of minority scholarship categories. At the end of the day, your college funding package is likely to include grants, loans and scholarships. Low interest loans are essential for covering extended college expenses like housing, textbooks and meals, but scholarship money is even more appealing, since it does not need to be paid back. Your financial aid strategy should employ a multi-disciplinary approach that seeks general college aid, but also targets the narrowly defined minority scholarships for which you are eligible. Filing your FAFSA application is an essential first step toward securing federal financial aid. The form requests information about your family finances, to help quantify your need for monetary assistance during school. Once your FAFSA is filed, your school’s financial aid office begins to assemble a blended bundle of resources to help you pay for college. If you are a member of a minority group, work with the financial aid professionals at your school, to ensure your minority scholarship search is exhaustive. Individual scholarship awards range from a few-hundred to several-thousand dollars annually. Even small scholarships take bites out of college costs, so don’t look down on a minority scholarship that doesn’t amount to much. Grow your college fund one entry at a time. This free PBS college budgeting form illuminates some of the hidden costs of higher education and helps you anticipate your expenses. Scholarships are granted for a variety of reasons. Consider these general scholarship types you’ll encounter as you compare college financing options. Academic Merit Scholarships reward performance in the classroom. GPA and test scores are common matrices for evaluating applicants. As a high-achieving minority, you are certainly eligible for general merit awards, but also be mindful of academic scholarships that are offered exclusively to specific minority populations. Athletic Scholarships are given to stand-out athletes who exhibit the potential to excel in their sports at the college level. Scholar-athletes are expected to maintain good grades and exhibit strength of character while they are receiving scholarship funds. Need-Based Scholarships straddle the line between grants and merit scholarships. Financial need must be present to qualify, but performance is also considered when awarding and renewing need-based scholarships. Student-Specific Scholarships support individual groups of college students like women, minorities and members of certain faith-based organizations. For instance, if a community organization is committed to increasing Hispanic enrollment at a particular school, that group might fund an educational scholarship that is available only to Hispanic enrollees of the school. Career Scholarships disburse college cash to individual students pursuing degrees in certain fields. Science and engineering students receive industry scholarships from research advocacy groups and technology-related companies. Teachers and nurses are in short supply. To meet the increasing demand for well-trained professionals, scholarships are used to stimulate enrollment within these educational majors. Institutional Scholarships are granted by individual schools as part of their on-campus financial aid programs. Remember, it might be a combination of personal attributes that makes you eligible for a certain scholarship. Your chosen school, ethnicity, academic achievements and other unique personal characteristics work together to open scholarship doors for you. Minority scholarships originate from a wide range of funding sources; some of which might surprise you. The idea is to leave no stone unturned in your quest for college cash, so think outside the box for access to minority scholarships. To promote diversity, foster inclusion and prepare graduates for the global marketplace, each of these entities provides higher education scholarships for minorities. Federal and State Governments – In general, government resources have the deepest pockets for providing college financial aid. In addition to diversity initiatives from Uncle Sam, you’ll find minority scholarships at the state level. Colleges and Universities – Schools give scholarships to support under-represented student groups like ethnic minorities. For example, Historically Black Colleges and Universities (HBCU) advance African American education by issuing scholarships to black students. Charitable Organizations – Community groups and religious organizations often include educational diversity in their stated missions. Grants and scholarships target those applicants whose access to higher education has been slowed by social or economic disadvantages. Corporations – Companies offer scholarships that support disciplines related to their business. Science, Technology, Engineering and Mathematics (STEM) majors receive scholarship attention from industrial concerns that want to facilitate a steady-stream of qualified graduates. Eligibility is sometimes limited to employee family members. Professional Associations – Membership organizations that represent individual trades often maintain scholarship funds for educating the next wave of professionals. Even unions participate in education by financing education scholarships. Given their status as the largest minority groups in the U.S., students with African American and Hispanic heritage enjoy the greatest access to minority scholarships. Academic diversity and equal opportunity stand behind efforts to graduate more minority students, and scholarships help break down the money barrier for needy minority students. African American scholarships have grown. NAACP scholarships target worthy applicants each year-as determined by the organization’s Scholarship Committee. Proof of membership is required to apply, as well as 2 letters of recommendation and full-time enrollment status. Ronald McDonald doesn’t care what color your skin is, so tap his scholarship fund for help with your college tuition. Hispanic and Black students are encouraged to apply. Microsoft is committed to supporting African American STEM subject studies. 'Blacks at Microsoft Scholarships’ are worth $5000 annually, and can be renewed for up to four years, while eligibility conditions remain in place. High school seniors who intend to study engineering and other technology disciplines at the bachelor’s degree level must illustrate a 3.3 GPA and a passion for technology. Another tech organization that engineers a variety of scholarships for black STEM students is the Organization of Black Aerospace Professionals. Scholarships address specific educational needs of pilots, mechanics and other black space professionals. Gates Millenium Scholars are drawn from disadvantaged ranks to earn full-ride scholarships through technical degree programs including engineering, math and computer science. 1000 scholarships are granted each year, some to individuals pursuing non-technical degrees. National Association of Multicultural Engineering Program Advocates funds scholarships for Hispanic, American Indian and Black engineering students. Awards address new students, as well as students transferring from community and technical colleges. To qualify, each freshman applicant must have a 2.7 or greater cumulative GPA. 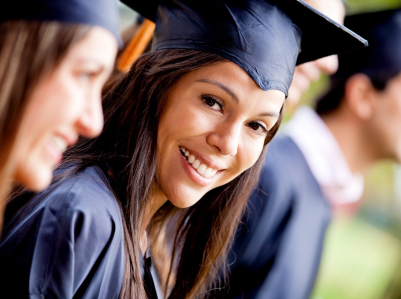 Hispanic Scholarship Fund (HSF) stands as the largest single advocate for Latino higher education. In addition to scholarships, the group supports Hispanic education through institutional program grants. Wells Fargo recently made history by giving HSF a grant worth over 3 million dollars. Accenture gives individual scholarships worth $3000 each to Latinos pursuing business and technology degrees. Full-time students with cumulative GPAs above 3.0, are invited to apply for this award during in their second year of school. This brief sampling reflects some of the scholarship opportunities currently available for Black and Hispanic college students. For additional listings, Sallie Mae Fund, through its African American College Access Initiative, maintains Black College Dollars, a scholarship search resource for Black students. Asian and Pacific Islander American Scholarship Fund (APIASF) is the country’s largest scholarship provider for Asian students. The group creates higher education opportunities for Asian Americans and Pacific Islanders by administering a series of targeted scholarships and partnering with other benefactors committed to raising the bar for Asian American college students. US Pan Asian American Chamber of Commerce (USPAACC) grants scholarships in the $4000-$5500 range to several deserving Asian university students each year. Corporate donors establish company-named scholarships which elevates the amount of money USPAACC can dole out annually. Denny’s, Coca-Cola, Exxon Mobil and other corporate interests have each sponsored recent scholarships. School’s like Boston College administer their own Asian student scholarships. At BC, students vie for the Benigno and Corazon Aquino Asian American Scholarship. Asian Juniors in good standing, with GPAs above 3.0, are eligible for the $15,000 award each year. Finalists receive smaller scholarships, in the $3000 range, and gift certificates worth $1000 at the campus bookstore. American Indian and Native Alaskan students might be smaller segments of the overall student population, but scholarship awards speak to their cultural heritage nonetheless. Native American college scholarships serve tribal colleges and universities, but also offer aid to students in mainstream schools. A few relevant scholarship links help you get started on a comprehensive search for Native American scholarships. American Indian Graduate Center focuses on providing scholarships to Native Americans pursuing graduate level degrees. Over 15,000 scholarships have helped students achieve post-graduate success. Alumni, corporate sponsors and other benefactors provide funding for the organization’s scholarship effort. American Indian Scholarship Fund supports education at tribal colleges. Enrollees are eligible for college aid, provided direct tribal ancestry is present, along with a GPA of at least 2.0. Catching the Dream Native American Scholarship fund puts forth three distinct opportunities for student aid. The MESBEC scholarship support STEM field studies in math, engineering, computers and other sciences. The Tribal Business Management Scholarship addresses the need for business leaders in the Native American community, by supporting efforts to earn bachelor’s degrees. A third scholarship, focuses on teaching degree candidates that come from Indian ancestry. Women returning to school after an interruption. Professional women advancing their careers through continuing education. Women in fields like computer science & engineering. The Point Foundation provides dozens of scholarships for GLBT students. The not-for-profit organization is one of the most proactive in helping 'marginalized' students meet their educational and career goals. The First Friday Breakfast Club Scholarship for Iowa students is one example of small, private, and regionally administered scholarships available to GLBT students. Sons and daughters of gay and lesbian parents, as well as friends and allies of the GLBT community are included in eligibility for some of the awards that serve this minority group. You may qualify for minority scholarships due to an outstanding physical feature or limitation. Juniata College, a small liberal arts college in Pennsylvania, offers a scholarship for left-handed students. Little People of America offers a scholarship for adult students who are no taller than 4’10″. Even white males qualify for legitimate minority scholarships in some instances.